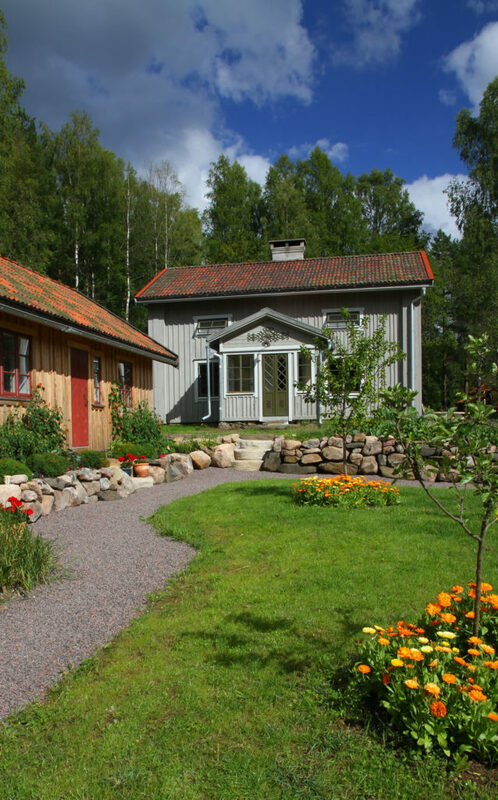 Deep into the woods, a few kilometres from Selma Lagerlöfs Mårbacka, you will find to homesteads: Sten and Löken. Over a period of eleven years the buildings have been restored and renovated with enthusiasm and an eye for detail. The result is a Bed and Breakfast where guests can enjoy calm surroundings, a symbiosis of creativity and tradition, and hosts that are willing to put in that little extra effort. The bedrooms are only accessible by a narrow and steep staircase, which requires full physical mobility. Our accommodation is based on calm recreation, and thus is not suitable for smaller children. Youngsters who are interested in nature are very welcome. We offer internet access, but no television or radio.